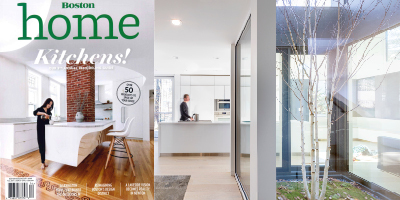 description: A Lexington home designed by Merge Architects is featured in the Fall 2017 Boston Home Magazine. The article, "Out Of The Box" highlights a series of courtyards and recessed gardens that bring light and nature into the home . The article can be found here.